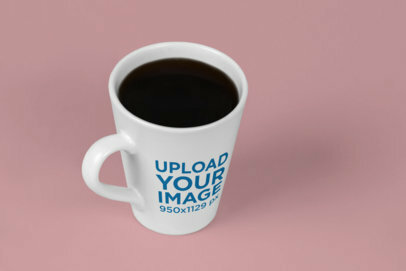 Boost your coffee shop marketing strategy with Placeit’s photorealistic mockups. 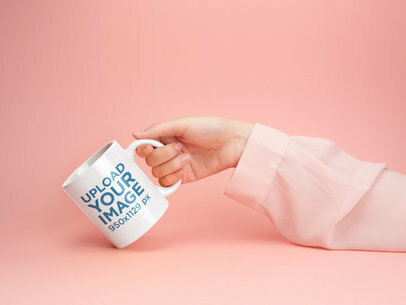 Change the background and mug colors, add your logo and create an amazing promotional image that reflects your brand personality! 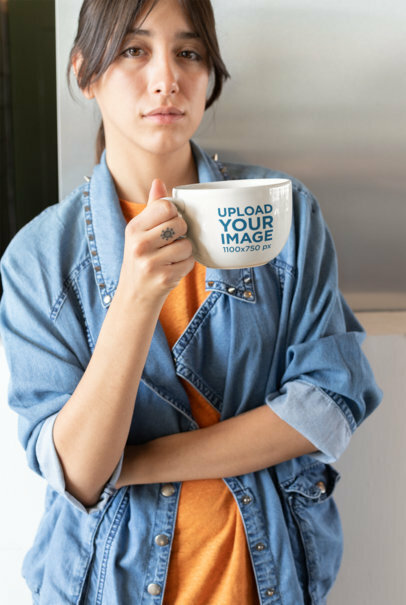 This template features a dark-haired woman with finger tattoos holding a slim 11 oz cup and is perfect to promote your brand or original mug design. Try it now! 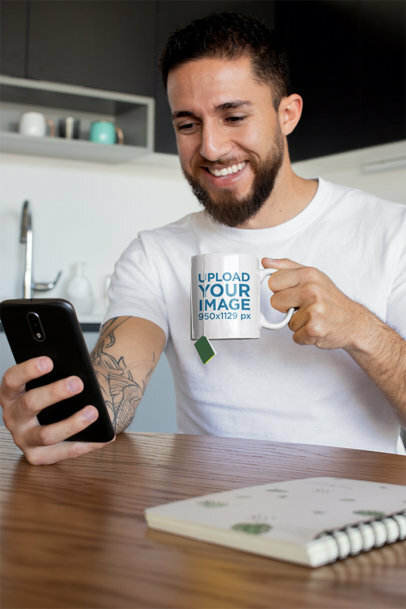 With Placeit's Mockups, you can promote your brand or original designs in a very professional way without spending too much time in production. 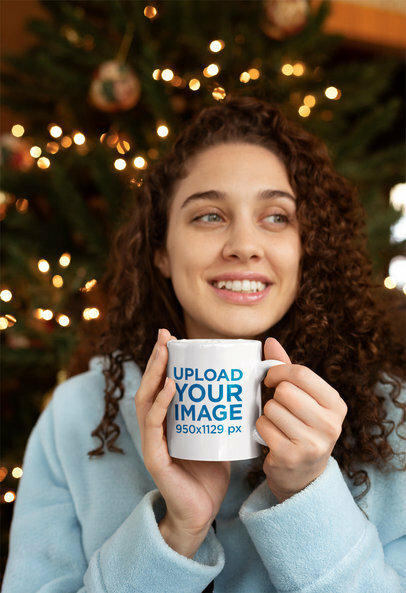 This coffee mug mockup features a woman with a friendly smile holding a 24 oz mug; place your brand's logo or design on the mug and transform this mockup into a cool promotional image! 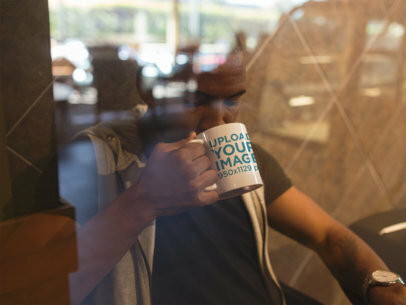 It's time you promote your coffee products or shop in the most modern way possible! With Placeit's outstanding visuals you can showcase your brand online just like professionals do. 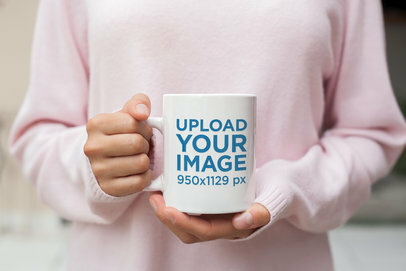 Start customizing your favorite coffee mug mockups and in a matter of minutes you can have a whole unique set of visuals to spread all over your social media pages and improve your marketing strategy right away! 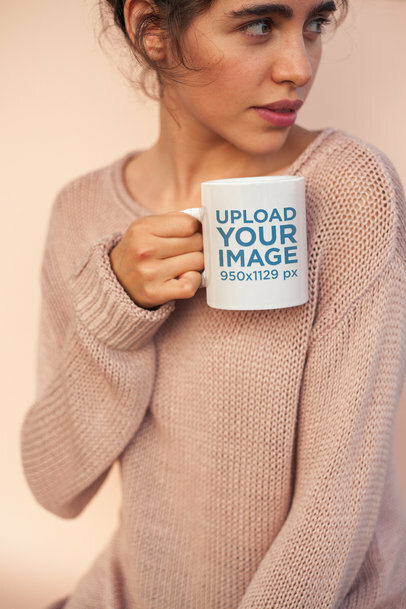 With Placeit's photorealistic mug mockups, you can create beautiful promotional pictures for your printing shop with just a few clicks. 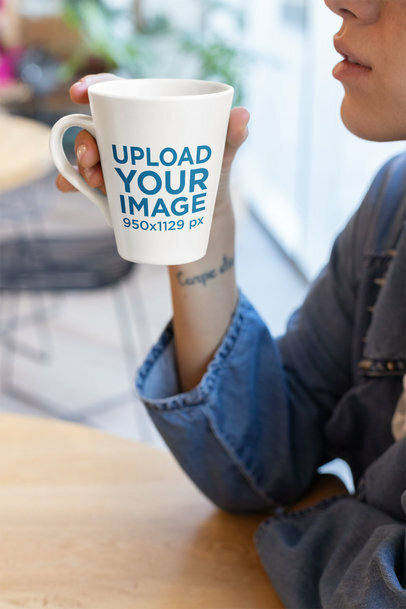 You don't need to spend time and money in a photoshoot, Placeit's 24 oz coffee mug mockups are just what you need for a successful marketing campaign. Give it a shot; it's fun and easy to customize. 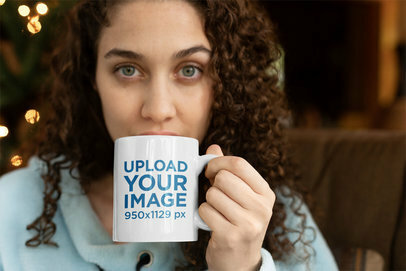 This mockup features a woman holding a big coffee mug, so how about trying your own creative mug designs? 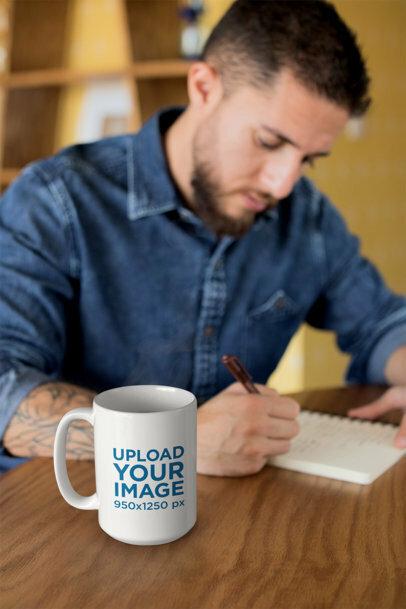 Your customers will want a personalized coffee mug right away! 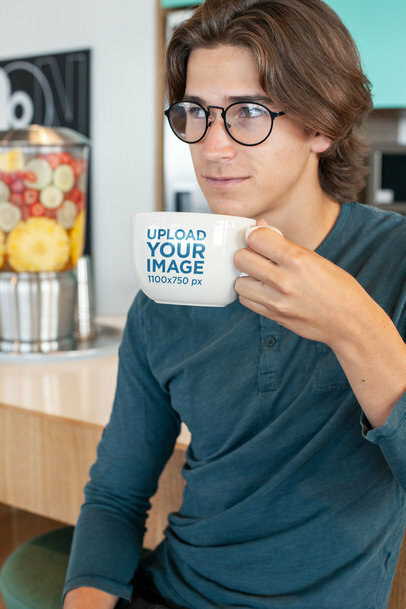 Placeit's new coffee mug visuals will help you promote your coffee-related products, brand or logo in the coolest way there is! Just like professionals brands do, you can customize attractive visuals to spread them all over your social media and POD websites. What are you waiting for? 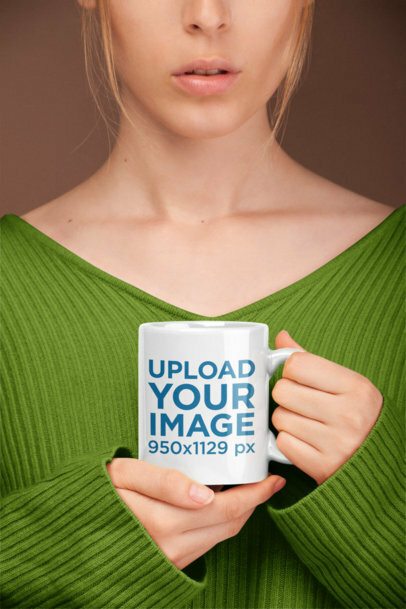 Choose your favorite coffee mug mockup and easily customize it however you want to. Try Placeit now and boost your marketing strategy right away. 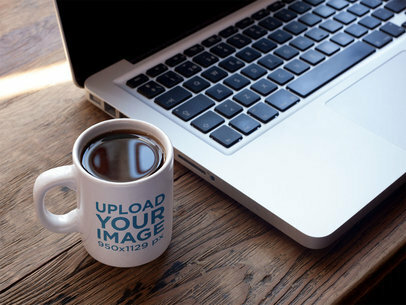 Check out this awesome mockup featuring a cup of coffee standing near a MacBook while on a wooden desk at an office. 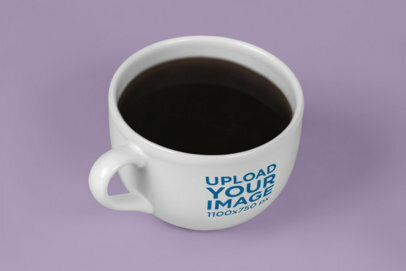 Start using it now to promote your latest designs for a coffee mug! 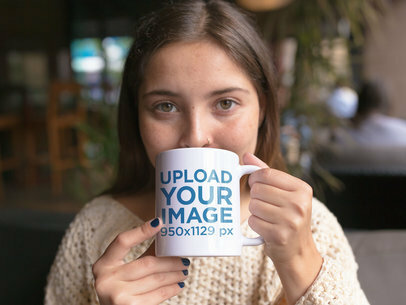 The menu on the right will let you choose a color for the mug, then drag-and-drop your jpeg or png image file over the upload button on the left side of the page. Use this awesome mockup now and make your revenue grow! 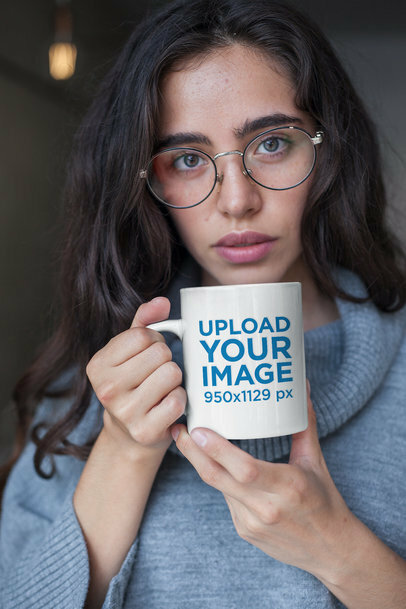 Promote your brand with the picture of a smooth woman holding a coffee mug with your logo or original design, and get it done with just a few clicks. How? 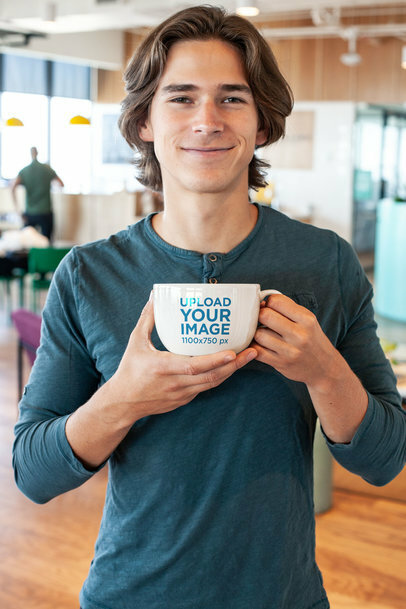 With Placeit's coffee mug mockups. Placeit's mockups are easy-to-use tools to create amazing visuals with super professional results in just a couple minutes. Try Placeit and boost your business like a pro! 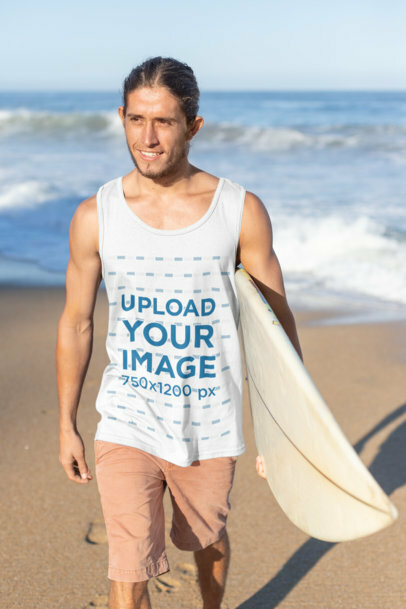 Use this photorealistic Mockup from Placeit to showcase your brand's relaxed and carefree personality. 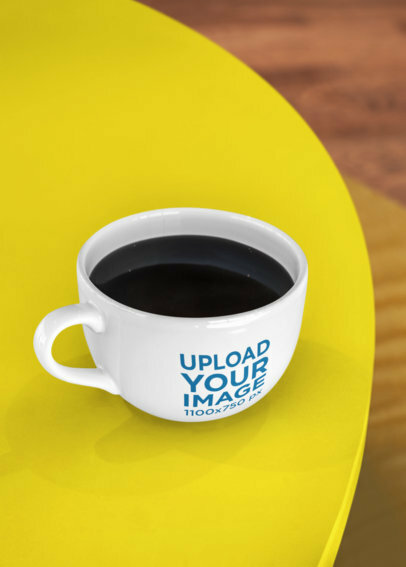 With Placeit, you can create amazing promotional images as fast as you can imagine them. 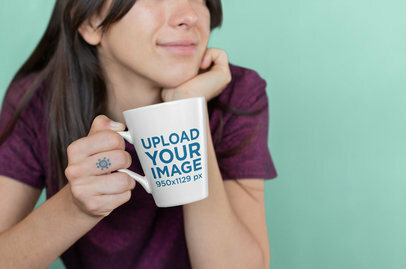 This mockup features a dark-haired woman with cute mini tattoos, holding a slim 11 oz cup. Try Placeit now, and see for yourself how easy it is to create beautiful visuals. 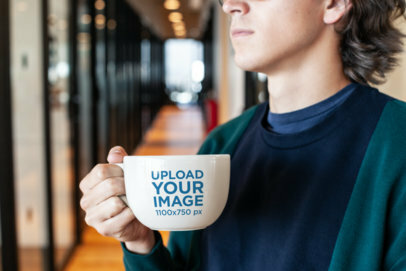 Promote your brand in a unique way with Placeit's modern visuals! 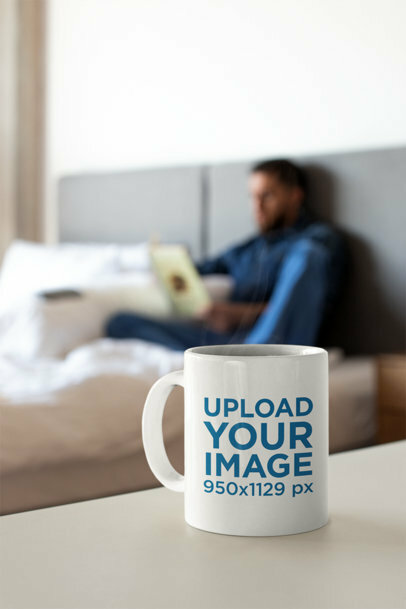 Try this coffee mug mockup where you can showcase your logo in a professional-looking way. Amazing, right? No time to waste! Start customizing your favorite mockups and in just a few minutes you can have a whole new set of visuals to spread all over your social media pages and POD websites. 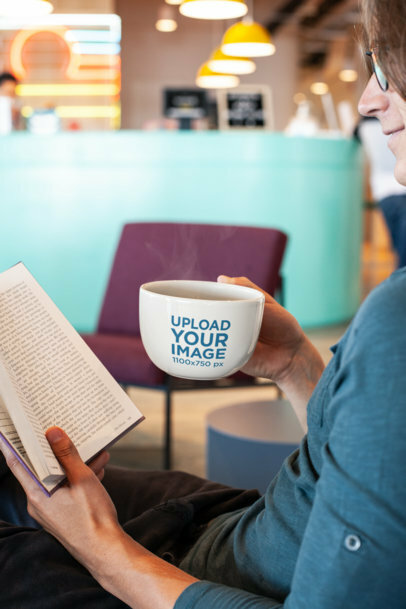 Promote your brand's relaxing identity with a modern looking picture of a man reading a book at a colorful cafe while holding a big cup of coffee. How? With Placeit! 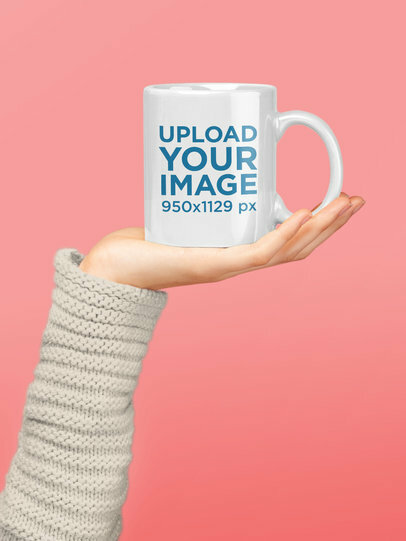 In Placeit you can find a huge collection of mockups that you can turn into amazing promotional pictures with just a few clicks. 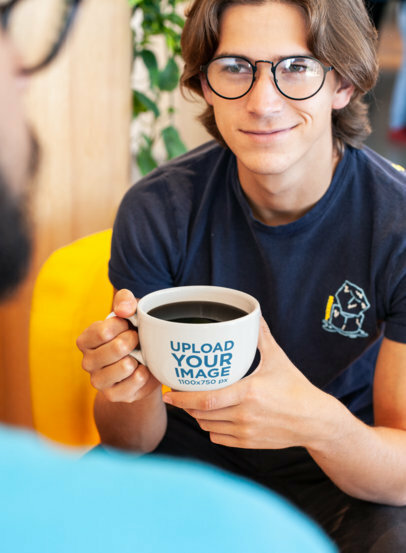 Try Placeit; it's fun and easy to use! 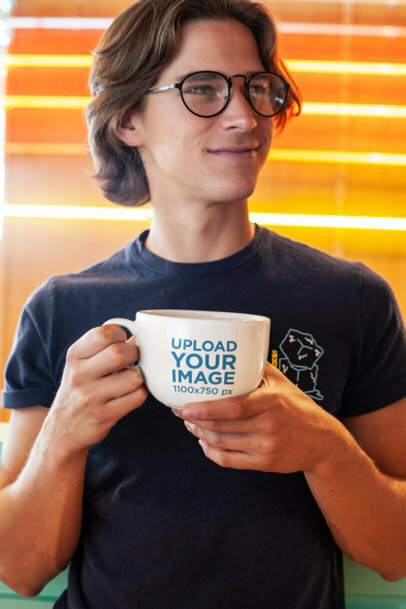 Are you looking for a new and cool way to promote your coffee-related brand or logo? Placeit's got you covered! 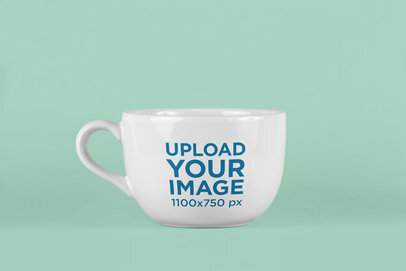 Try these coffee mug mockups and customize them the way you want in a few minutes. Amazing, right? 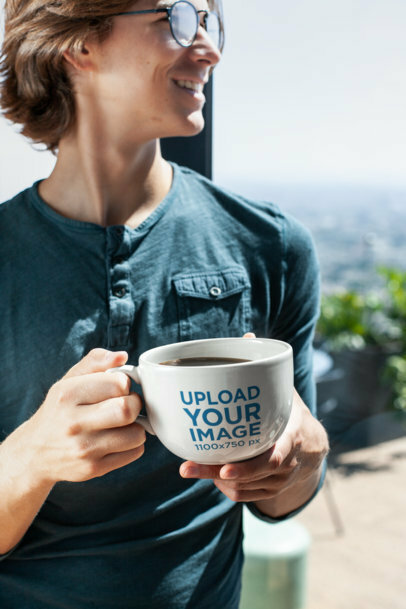 Just place your logo in the coffee mug and in a matter of minutes you can have a whole set of dazzling visuals to spread all over your social media pages and POD websites to boost your sales. 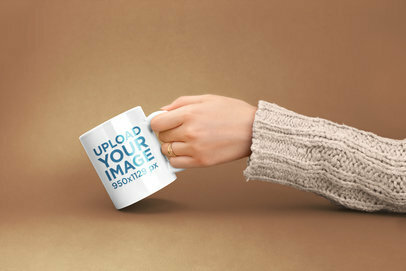 If you're looking to make an elegant picture to promote your brand, try this coffee mug mockup from Placeit. 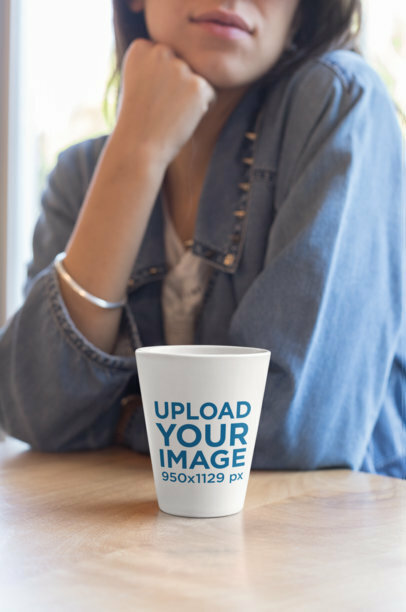 This mockup features a woman in a denim shirt, sitting by the table of a cafe; add your logo or original design and there you go. 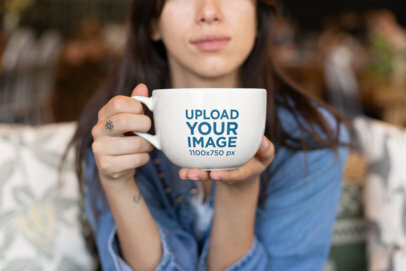 This mockup is perfect to promote a coffee shop or restaurant, try it now! 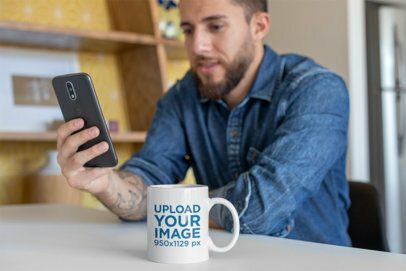 Get your brand's logo or original design placed in the picture of a real coffee mug with this print mockup from Placeit. 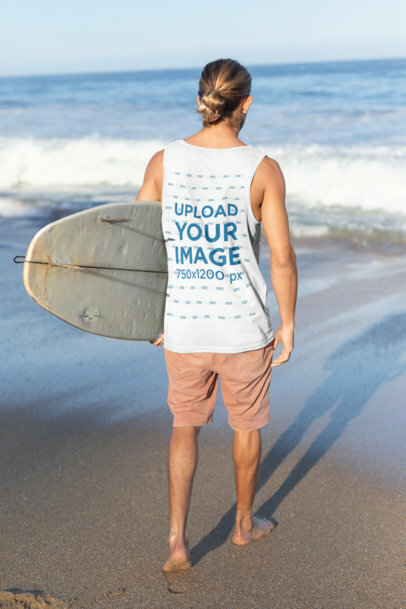 Placeit's mockups allow you to create amazing promotional images in just a few minutes. 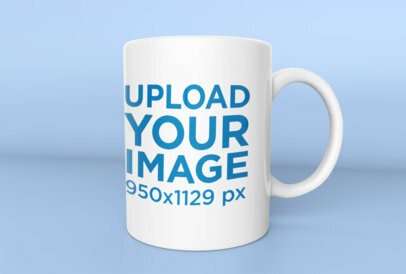 Just upload your design, customize the mug's color and check your possible results in real time. Cool, huh?! 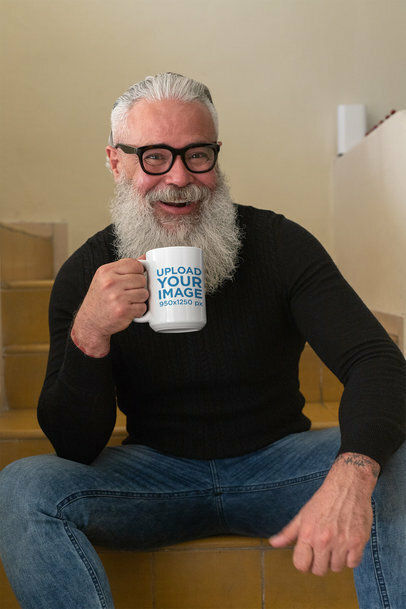 Got some cool coffee mug designs? 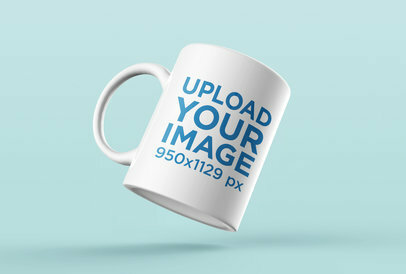 Show them off with Placeit's mug mockups. It's easy, just edit the settings to your liking and you'll be ready in no time. This mockup's background can even be made transparent. Try it out, your website or account will look awesome. 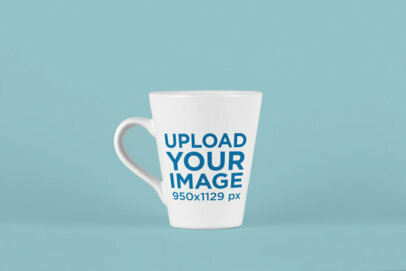 Create your coffee mug mockup now. 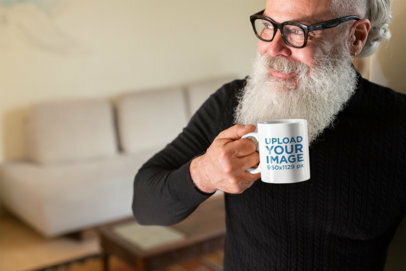 Present your coffee mug design in a new and inspiring way with Placeit! 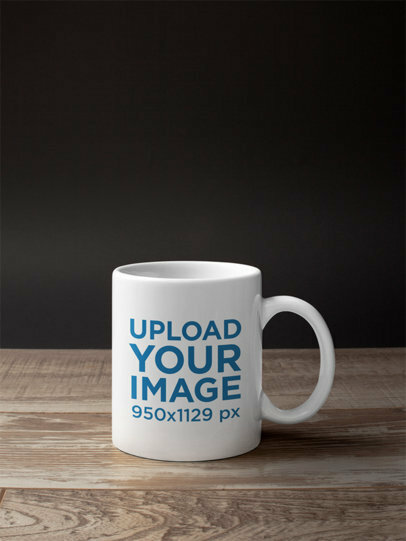 We offer a whole collection of mug mockups that vary in style, models, and features. Choose anyone you like and start editing to your style. It's easy and fast. 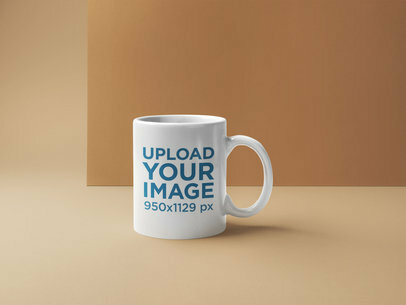 Create your Coffee Mug mockup now. 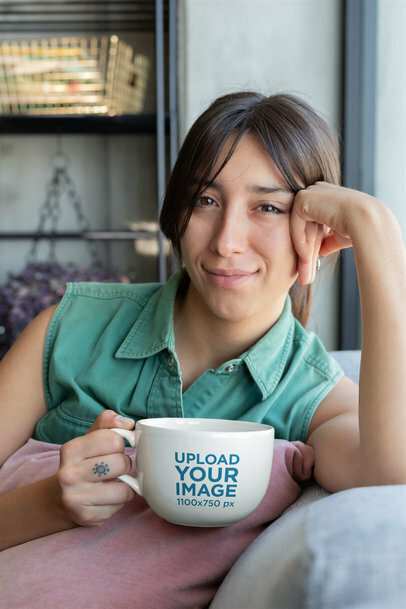 Create an amazing visual for your coffee mug designs. With Placeit, you can customize our templates to fit your needs in style in a fast and effective way. This mockup even allows you to make the background transparent! 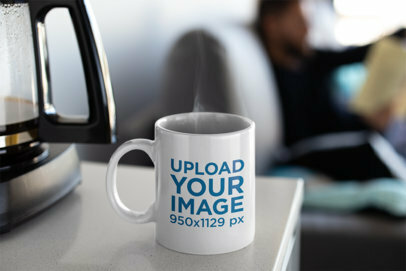 Try it out, create your Coffee Mug mockup now. 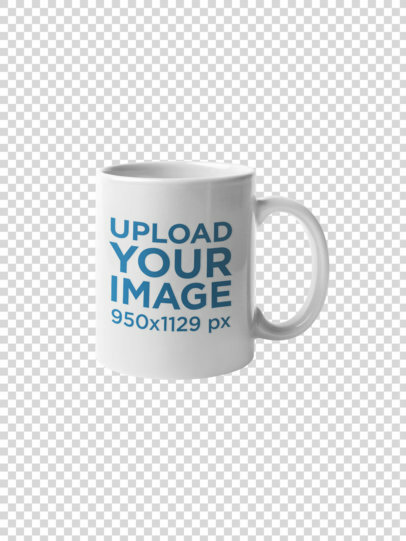 The image displays a coffee mug. The mug is on top of a wooden table. 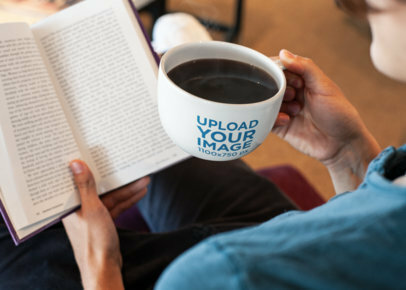 The mug and table are centered in the image. The wooden table is polished. 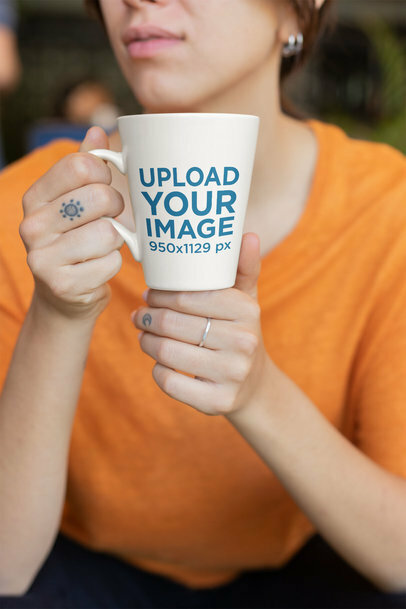 Do you have an awesome design you want to see displayed on actual 15 oz mugs? 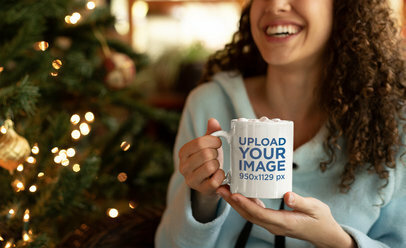 Use Placeit's 15 oz Mug Mockups, we create mockups that are super easy to use and don't require any additional software. You can even change the mugs' color. Cool, right? Try it out, its amazingly easy. 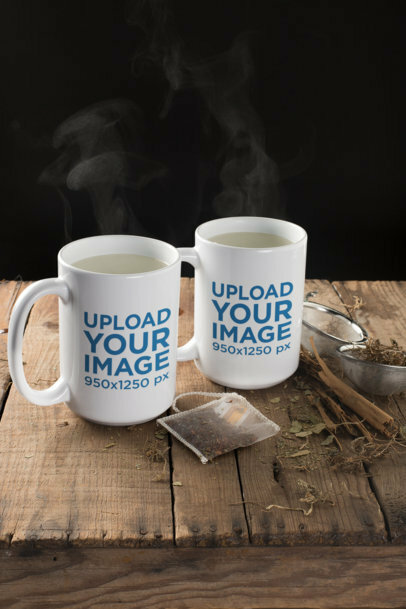 Create amazing visuals for your POD shop with Placeit's mug mockups! 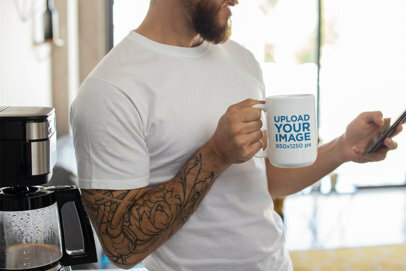 Like this attractive mockup of a tattooed man holding a mug, ideal to promote your designs this winter. 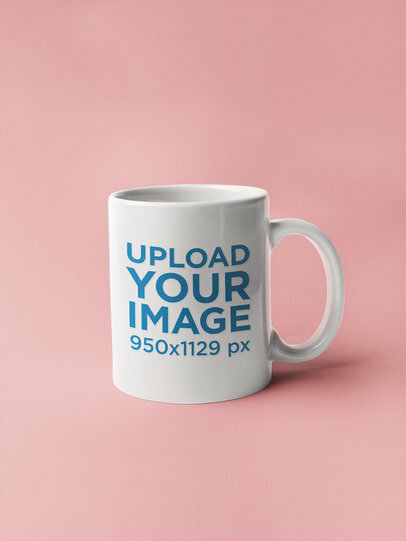 Start showcasing your mug designs to all your potential costumers. Make Placeit's mockups the latest addition to your marketing tools!